Freya's Child takes you on a journey to the past that shows the interconnected life of different characters. You are introduced to Einaar and Astrid, the Viking couple who lose their daughter, Inga, to their blood thirsty chief. Next you meet Kathryn and her team of archaeologists, who are starting a new dig site and then you meet, Robert, Helen and their sweet daughter Cherry. As the story progresses the characters become more tangled in the dig site and the reincarnation of this Viking village. As Einaar and Astrid's souls cannot find peace over their lost child, they haunt Cherry which leads to her falling into a deep sleep. Not knowing what to do about these spirits, the reincarnations or Cherry, the group turns to Bernard (another reincarnated soul) who eventually agrees to help the group preform a ritual to bring Cherry back to life, costing some of the group everything. This book offers many different characters and personalities. Each character is very well developed and relevant to the story in their own way. This book greatly appeals to those who enjoy reads including history, ghosts, and reincarnations. The main theme is the love of a mother for her child. You see this theme especially prevalent with Helen and Cherry but also Astrid and Inga. Love can conquer all and this book shows the bond between parent and child is not one that is easily broken. This book kept me on the edge of my seat the entire time. The author did a great job of creating a smooth flow, revealing the correct amount of information at the right time as to not overwhelm the reader but keep them interested. The author did a great job of writing to the age group intended without using any unnecessary language or sexual content. 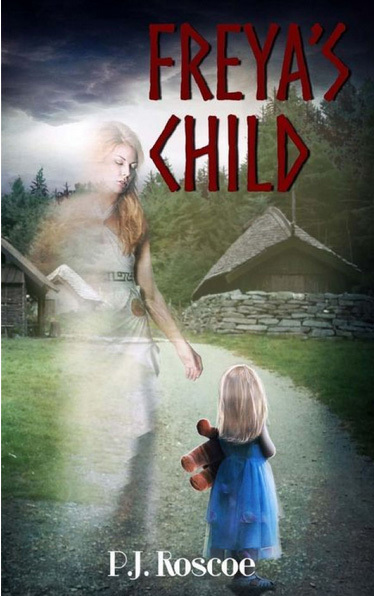 Freya's Child if a must read if you are looking for a suspenseful tale of a mother's love for her child that even death and dark spirits cannot break. Best read of the summer! "Love really was the strongest feeling of all." I'm a Mother, Wife, daughter, sister, Author, counselor, Holistic therapist, movement therapy facilitator and drumming therapist, not necessarily in that order, but I work hard at all of them!! I'm the award-winning author of three books – 'Echoes', 'Freya's Child' and 'Adventures of Faerie folk', with at least three more in various stages of completion and another two books in my head bursting to get out! I also have three short stories published in three anthologies, plus I am finishing more faerie stories. I live in North Wales, surrounded by Celtic magic and yes, I believe in faeries! She enjoys keeping her readers updated, on her website, blog and social media.